Martin is a farmer and contractor in South Cambridgeshire, growing mainly arable crops on his family farm and rented land. He has a special interest in farm conservation management, currently running an ELS and HLS agreement and applied for Countryside Stewardship schemes on land he rents. He also supports the delivery of Stewardship Schemes for a number of other farmers. 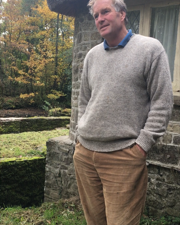 Martin is the NFFN UK steering group chair and hopes to see the network grow with like-minded farmers and land managers who will work together, sharing best practices and demonstrating what can be accomplished for nature while producing great produce. 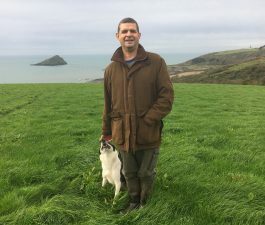 Jon Andrews runs his family 300 acre mixed livestock and arable farm in South Devon, farmed organic grassland and conventional arable. 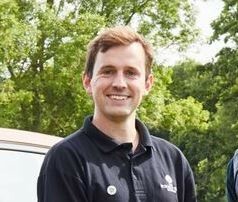 He has been involved in CSS and HLS for 18 years and is passionate about nature friendly farming. 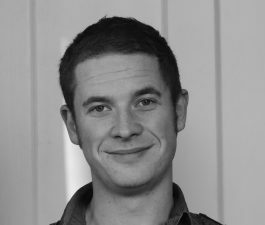 David is relatively new to farming and is now a savvy stockman, passionate about land management. The Horned Beef Company is pioneering a new approach to the management of marginal land in Cumbria making farming and nature work together. 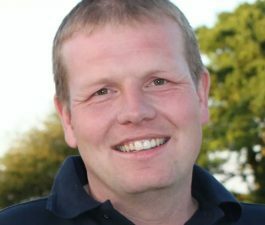 Neil was born and brought up at Hill Top Farm, Malham in North Yorkshire, where he now farms with his partner Leigh. In 2003, as part of a conservation grazing scheme he re-introduced 20 Belted Galloway cattle to join the Swaledale sheep flock. This proved to be a defining time for Neil in terms of ethos and mind-set, as he sought more sustainable and environmentally friendly production methods. Sorcha lives in the beautiful Elan Valley in Mid Wales where she farms with her husband and 2 children on an upland hill farm. 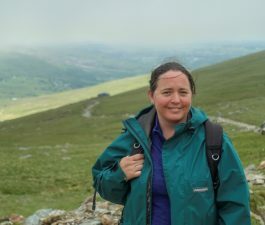 She is passionate about promoting how amazing our uplands can be, the variety of wildlife that depend upon them and the people that help maintain them. Hazel was born and bred in Shetland and along with her husband, Kenneth, runs the croft in Aithsetter, Cunningsburgh. Aithsetter was in an Environmentally Sensitive Area (ESA) for 10 years and is now in an Agri Environment Climate Scheme (AECS). Hazel is passionate about making sure that the wildlife, flora & fauna that she grew up enjoying, remains there for future generations. Being a previous President of Shetland's National Farmer Union of Scotland (NFUS) and Chairperson of Shetland Crofting & Farming, Wildlife Advisory Group (SC FWAG) plus working for 8 years as operations coordinator for Shetland Livestock Marketing Group (SLMG) shows how committed she is to agriculture. The couple are also on the committee of the Cunningsburgh & Districts Agricultural Society - which runs the annual show. 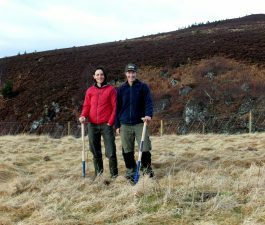 Part of the holding's heather moorland was a runner up in the 2015 Heather Trust's Golden Plover Award for Moorland Management (Shetland Peatland Restoration Project) - which is an ongoing management The couple diversified in 2012, slightly, by building 2 holiday lodges on their croft and in June 2017 by building Britain's most northerly Farm Shop & Cafe. Martin farms with his family at Montague on the western edge of the Pevensey Levels in East Sussex. Two thirds of the land falls across grazing marshes, managed to restore wetlands for nesting Lapwing and Redshank and a complex of damp and herb rich organic pasture. He looks after a flock of some 850 Romney ewes and a mixed breed beef herd of Sussex and Angus cattle. 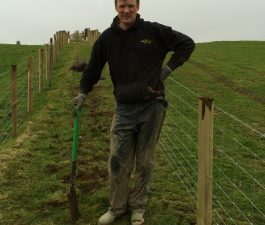 Tony is a fifth generation tenant farmer on a Mountain farm in Mid Wales, over 80% of the land has SSSI status. The farm management focuses on environmental improvements supported with Organic, Glastir Advanced and Woodland Creation agreements. This nature friendly habitat is managed by a flock of Welsh Mountain sheep and a herd of Dexter cows. The remote off-grid farm depends on solar PV for electricity and biomass for heating. Tony also produces biochar from low quality forage for use as a carbon sequestering compost improver. Gethin Owen farms 110ha at Nant-yr-Efail near Abergele on the North Wales coast with his family, and is a former regional winner of the RSPB Nature of Farming award. 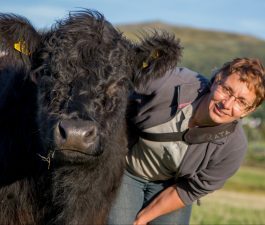 He farms 35 suckler cows and 650 ewes, and also grows spring oats and barley, forage peas, swedes and red clover. The farm is run following traditional principles of variety in space & time and being as self-sufficient as possible to reduce input costs. The farm has been within the Glastir Advanced and Tir Gofal agri-environment schemes since 2008, and has resulted in significant environmental improvement & habitat creation, including several kilometres of hedgerow planting and restoration and provision of overwintered stubbles for many species of seed-eating birds. 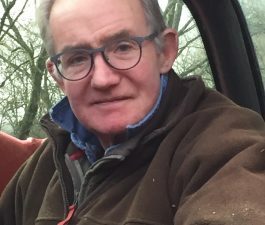 Gethin is passionate about creating a home for wildlife, and demonstrating that this can be mutually beneficial in its co-existence with productive and sustainable agriculture. 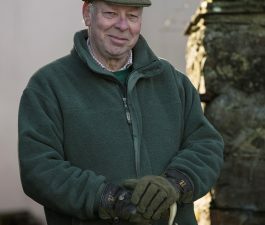 During a professional career as the senior land manager for two of the UK’s largest landowners, Michael began part-time farming and realised a lifelong ambition to farm full-time when he and his wife Shirley moved to Williamwood in Dumfriesshire in 2008. They breed beef cattle and sheep and operate a busy holiday cottage business. Shirley breeds and shows Highland ponies. With 4 children between them, only one son remains on the farm and works principally as an agricultural contractor and livestock haulage driver. 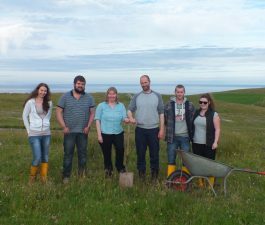 Past Scotland winners of the RSPB’s Nature of Farming Award, they enjoy community engagement and demonstrating how nature-friendly farming and food production can go hand-in-hand. 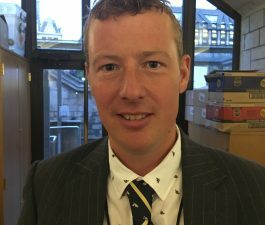 Patrick Barker is a farmer and conservationist from Westhorpe in Mid-Suffolk. 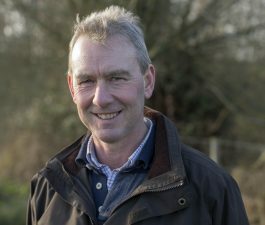 His 513ha family farm is a LEAF Demonstration Farm, an AHDB Strategic Farm and past winners of both the Farmers Weekly Countryside Farmer of the Year and FWAG’s Silver Lapwing award. Conservation is integral on the farm and the farm’s ethos is to farm is the most modern, productive ways but also have a farm full of wildlife. 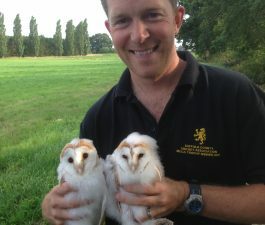 Patrick is a BTO licensed bird ringer and an area coordinator for the Suffolk Community Barn Owl Project. He also runs Westhorpe Hall, a 21 bed residential care home situated on the farm. Lynbreck Croft is 150 acres of pure ‘Scottishness’ located on the lee side of the Cairngorms Massif. Lynn thinks nature friendly farming is the only way that farming can work. She spent the last two years planning, raising funds and developing their diversified croft business. At present the croft has Highland Cattle, Jacob Sheep, laying hens, bees and Oxford Sandy and Black pigs. Lynn and partner Sandra use social media to promote the work they do and sell all of their produce locally. In 1991, chartered surveyor Colin Strang Steel and his wife acquired Threepwood, a livestock farm of 423 hectares (1045 acres) situated in the heart of the Scottish Borders near Lauder. The farm lies between 850 and 1020 feet above sea level, and although it is entirely enclosed it is all classified as Less Favoured Area status. Within the farm lies Threepwood Moss, a raised bog of about 100 acres, which is classified as a Site of Special Scientific Interest (SSSI) as well as a Special Area of Conservation (SAC). 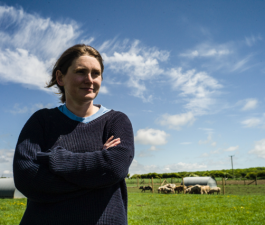 Polly is a mixed organic tenant farmer in South Wales, with a large range of agri- environmental management options undertaken, due to the Glastir Advanced contract with the Welsh Government. 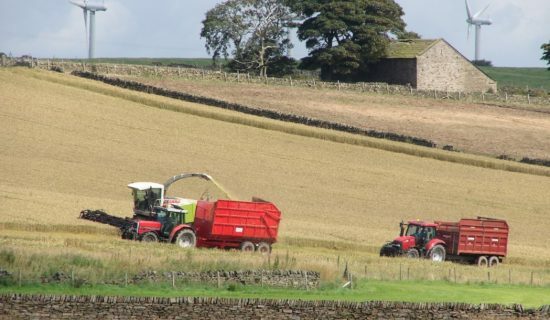 The farm enterprises include a beef suckler herd, 600 Romney Ewes & 80ha of organic cereals in rotation, including Spelt, Spring Wheat, Spring Barley, Spring Oats & Spring Beans. There is also a small number of Gloucester old spot pigs to supply the small farm butchery and meat box delivery business. Polly is passionate about increasing the farm yields both in ecology and improved organic agronomy, so the environmental management options are not a fringe to the farming enterprise but embedded within the whole farming system. David is an arable farmer, passionate about the environment & grey partridge. He was the Purdey Gold Award Winner 2016 and Northern Ireland Wildlife Farmer of the Year 2015. 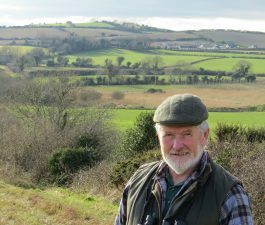 David is also a committee member of the management body for the Strangford and Lecale AONB and advisory member for the Strangford Lough Marine Protected Area. Philip owns a small lowland 35 acre farm outside Ballynahinch in County Down. It supports a mixture of deciduous woodland, wild bird cover planted annually and grassland supporting a small suckler livestock herd of native Irish Moiled cattle and commercial British Herefords. Hedgerows are managed to support wildlife habitats and riparian zones are employed as buffers to protect the waterways from poaching. Jack farms 90 acres of mixed farmland in east county down with his son Adam. Here, they grow a range of cereals, field beans and graze sheep. Farming with nature has been an integral part of the farm business since the 80s, where management was significantly changed to work with, rather than against it. 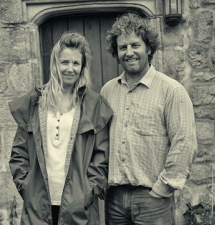 This ethos guides all activities on the farm, whilst providing a livelihood for Jack and his whole family. David manages the farming side of his business on the North East Essex coast, farming approx. 750ha of mixed soils but predominantly heavy London Clay. His farming system revolves around soil conservation and regeneration using cover cropping, diverse rotations and direct drilling to reduce inputs and improve biodiversity on the land he farms. 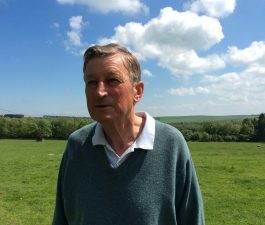 His farm is also in HLS, and neighbours SSSI salt marsh owned by Essex Wildlife Trust, so he sees a lot of interesting bird life and a variety of habitat on the farm. David is a strong supporter of independent science and farmer led decision making. 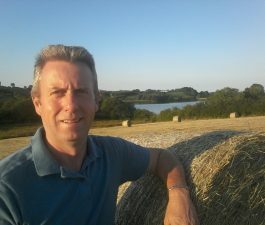 He is currently chairman of Colchester branch NFU, and also a steering group member for the AHDBs Eastern strategic farm. Charlie Cole a first generation farmer who manages Broughgammon on the North coast of Antrim. The farm, famous for its award-winning rose ceal and goat burgers, has been championing sustainability and the principle of ‘forward thinking farming’ since 2012. Broughgammon is a mixed system aiming to demonstrate high welfare standards, environmental stewardship resilience and profitability. 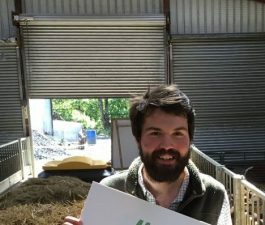 Charlie is a passionate advocate for locally produced sustainable food, highlighting that nature friendly farming can play a key role in addressing many of the current problems facing food and farming at present. Tom manages the conservation and eco-tourism side of his family farm, Argaty in Stirlingshire. He comes from a long line of farmers. Argaty has been in his family since 1916 and his grandmother, Judy Bowser, was a well-known face in Highland Cattle circles. Argaty today is a highly diversified business. In 1996 the RSPB and SNH reintroduced kites into central Scotland and, when these birds began to nest on Argaty, Tom's parents, Lynn and Niall, set up the Argaty Red Kite project. Each day they feed the kites and visitors from around the world come to see them and learn their story. The project aims to increase people's appreciation for these magnificent raptors, and to help tackle ongoing persecution issues. Tom also runs a red squirrel and woodland bird hide, hosts farming and nature walks, and works with the local community on conservation projects. Hilary farms in North Wales, her main holding is a 66 acre upland farm with mountain rights on Llanllechid common. She also rents and manages the grazing on a range of SSSIs and nature reserves. Hilary is passionate about nature and wildlife and has found that it can fit into our farming system. She is keen to reduce inputs and manage the land and livestock as naturally as possible.